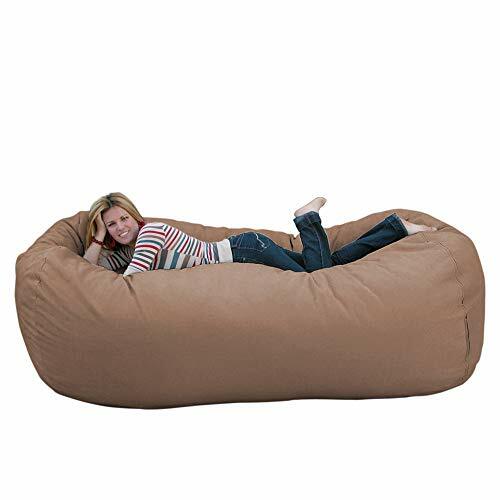 Relaxation and comfort come in best when the quality of a giant bean bag chair is excellent. On top of that, a giant bean bag with an excellent condition can be used for a very long period. 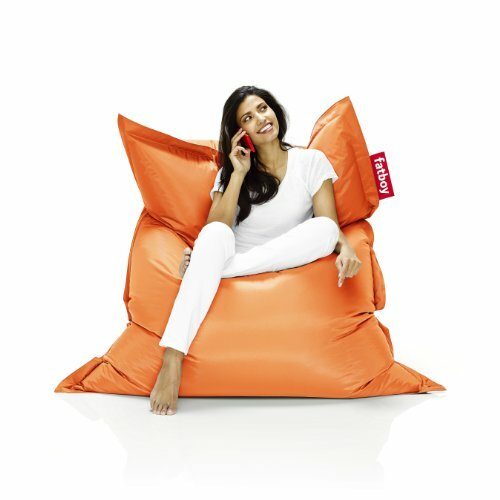 Following this idea, finding the best giant bean bag chair is vital for maximized use and comfort. With the numerous options that you have in the market, picking the best ones can be one tough job. The list below aims to help you decide which giant bean bag chair you should choose through presenting you its features. Keep in mind your personal preferences as you go through the characteristics of these giant bean bags. Comfort, fashion, and security come in one with the Cozy Sack X-Large. This giant bean bag measures 8 feet and is categorized as XL. 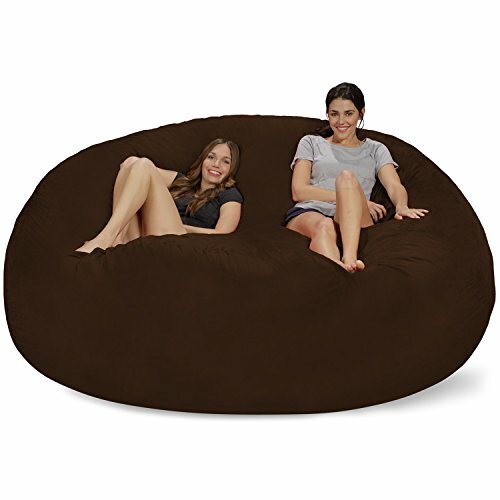 Aside from Beige, this giant bean bag chair also comes in a broad spectrum of colors such as Black, Chocolate, Hunter Green, Navy, Olive, and many more. Another feature of this item is its protective liner and child safety zipper. Having this, you can remove the liner and wash it whenever necessary. Its foam also offers comfort through its ability to adjust its form however the owners want it. The number of people who will sit, their weights and occupying positions determines how the giant bean bag will form. To get it back to its original form, you have to fluff the item after use. To use this with minimal problems regarding its flexibility in your home, be sure to allow 8.5′ by 4.5′ space for this item. Another exceptional quality giant bean bag from Comfy Sacks is making a name in the market. This item is none other than Comfy Sacks 7.5 ft Longer Memory Foam Bean Bag Chair. This size is big enough to let one person sleep in it comfortably. Regarding the colors available, you have a wide array of options. From colors on the different sides of the spectrum to varying shades of it, you will never run out of options. 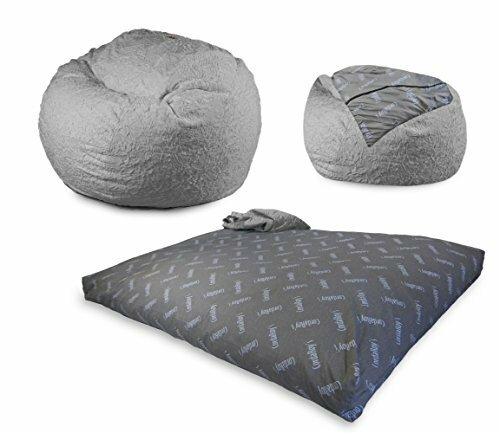 This giant beanbag chair has an ultra soft cover that is also washable—hand-wash or machine wash.
Also, the inner liner of this item is guaranteed to be durable and comes with a child safety zipper as well. Aside from the guaranteed softness, you can also take benefit in its memory foam blend filling feature. This allows the giant bean bag to adjust according to the different forms the owner might do. 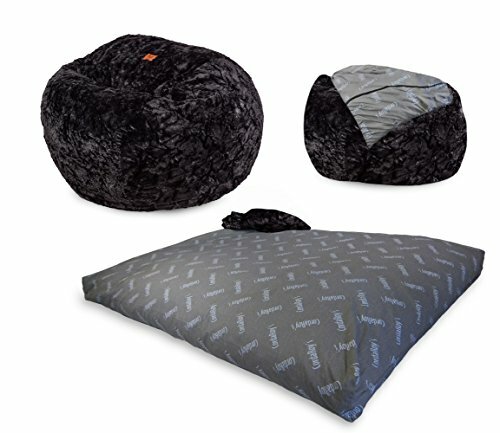 Another product making a noise in the market for its quality is CordaRoy’s Convertible Fur Bean Bag Chair. What makes this product a unique and well-talked about is its convertible feature. From being a chair, you can convert it and turn it into a foam lounger. Also, you can guarantee that this product does not contain beads but CertiPur foam for comfort and durability. Machine and dry washing the chair cover will not compromise its quality, as it is very safe for such cleaning procedures. You can also guarantee the sturdiness of this product with the help of its cotton and poly blend. A child-safe zipper is also present in this product to ensure child-friendly usage. 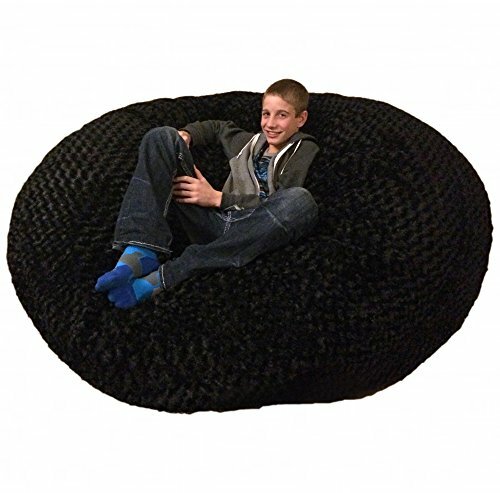 When used as a giant bean bag chair, it measures 48 inches radius. When used as a lounger, it spans 60 inches full by 80 inches long and 10 inches thick. Aside from the color, you can also choose the size of this item— Queen Size to Full Size. Its design is also customizable—you can select from Faux Fur and Chenille. Coming in with a considerable size and a quality that stands out, the Chill Sack Bean Chair offers comfort for its users. 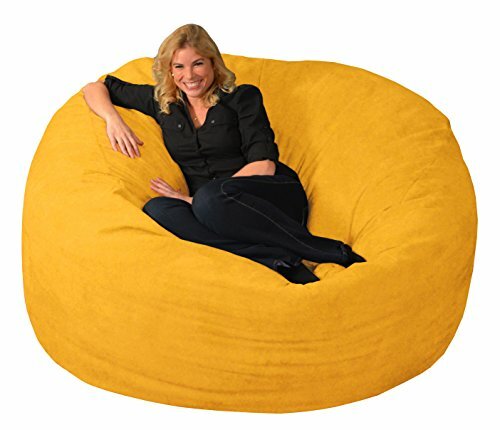 This giant beanbag chair spans 72x 72 x 34 inches, letting it be good quality as additional furniture at your basement, family room, and even in your bedroom. The bean bag chair’s components allow it to give comfort to the use and adjust to his or her shape. On top of that, you can also tag a friend along as this can accommodate two people. Its covering is made out of Microsuede Fiber, making it very soft and machine-washable. You can also be sure that the fiber stays intact as it is double stitched. Discoloration and stains are also not a problem with the covering as it is resistant to such. Regarding the color, you will never run out of options, as there are many shades of different colors available. 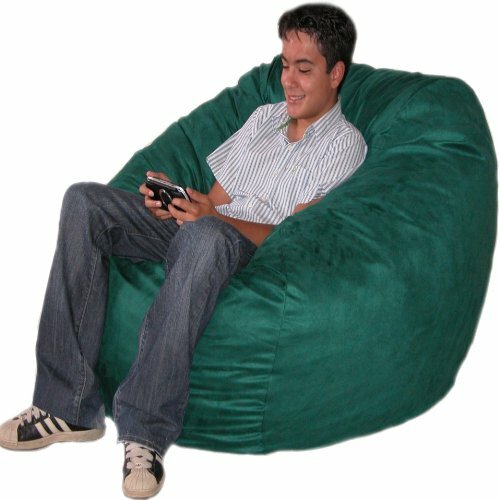 Fatboy Bean Bag Chair claims to be the ideal bean bag for different indoor sit-down activities. This bean bag chair is filled with virgin polystyrene beads, which are recommendable for comfort. Meanwhile, its cover is made up of durable nylon and comes with a protective coating. The material component itself makes the covering durable. This coating functions to protect the covering from stains as well as discoloration. On top of that, the coating makes the fiber water-proof. Cleanliness and maintaining the optimum state of the fiber is also not an issue. You can quickly wash it with mild soap and even a damp cloth. Options in the colors of the bean bag chair come in a good number. You will never run out options, regardless of your preference, from the flashy colors to the simple and minimalist. 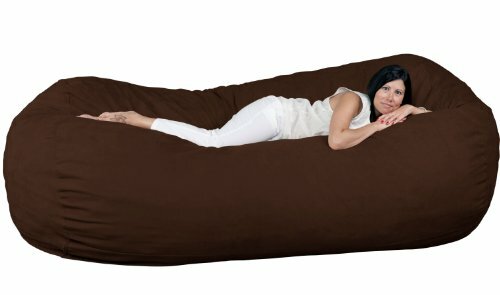 Dimensions of this giant bean bag chair from Fatboy measures 70 inches long by 55 inches full by 8 inches high. The Bean Bag Chair is one of those of its kind already getting known for its features. Primarily, this chair is stuffed with 80 cubic feet of first use pillow grade form. Having this feature, you can find yourself comfortable with its softness. Also, it is suitable for those looking for quality and firmness in a bean bag chair. On top of this feature, this item also comes with a double layer construction. This means that these inner components come in twice the volume of its covering. Also, this fluffy chair contains a protective liner. The said liner holds the foam filler and therefore makes it possible to remove the external cover. Aside from being removable, you can also wash the covering whenever deemed necessary. You don’t have to worry about its outcome once the washing process is over. 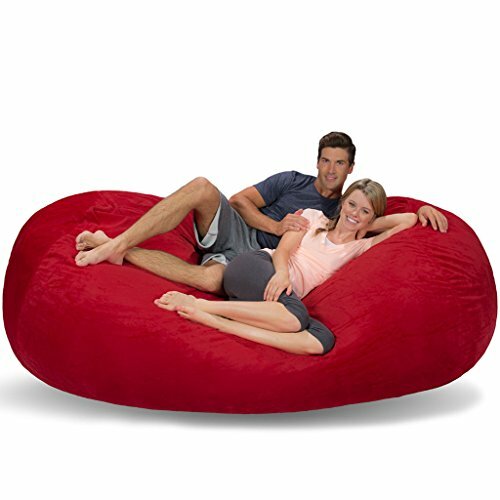 Coming in as an oversized sack, the Chill Sack Bean Bag Chair can fit two persons in it. Having this size, it can still provide in places such as your living room, basement, and even your bedroom. It comes with dimensions spanning 96 x 96 x 34. This fluffy chair is built with shredded memory foam. With the help of this kind of foam, you can be assured of the firmness and softness of the bag chair itself. This enables you and a companion to comfortably sit or lie down on this chair and have it adjust to your form or shape. As for the covering, you can be assured of its quality since it is made out of Microsuede Fiber. This fiber will feel soft against the owner. Also, this kind of thread requires minimal cleaning since it is resistant to stains and discoloration. I addition to that, you can also remove it, and machine wash it. The Slacker sack 6-feet Giant Foam comes in a different covering compared with the usual. Instead of the typical fiber, this giant soft chair is covered in fur. However, like the given other covering, this Luxurious Black Fur Cover is also removable. In addition to that, this covering can also be machine washed without quality compromise afterward. Aside from the outer cover, the foam is covered with another lining. This makes the foam inside steadier while keeping it soft at the same time. The foam stuffing this bean bag chair is a top of the line Shredded Memory Foam Blend. This kind of foam is known for its capacity to adjust to different positions and weight of the owner. Also, it also allows maintenance of the solid shape of the bean bag chair. With this chair having a size of 6 feet for its radius, it can accommodate two adults and three children. Another product by CordaRoy offers quality relaxation experience with its Moss Chenille Convertible Big Bean Chair. Aside from being a broad bean which you can sit on, you can turn this into a king-sized bed. To make the experience much better and protect the item, it comes in a package. This said package contains one king chair cover and a King bed insert. When used as a king-sized bed, this item measures 76 x 80 x 10 inches. Having the given measurements, two adults can fit in it. On the other hand, it measures 60 inches wide when used as a beanbag chair. The covering of this fluffy item can be changed, washed and even dried without fear of damaging it. This convertible bean bag chair holds sturdy cotton and poly and comes with safe-lock zippers as well. Having soft shredded foam, this product also offers a firm and smooth quality of a bed and a chair. As for the colors, gray is not just your option as there are lots of other colors and shades available. 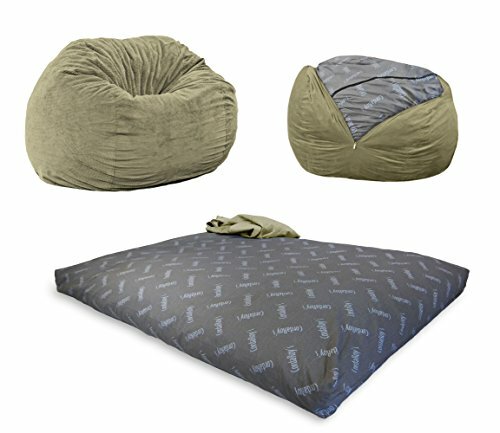 Comfy Sacks presents another high-quality, fancy-looking beanbag chair in the market. Its core is made out of Memory Foam Blend. Holding this volume of high-quality foam is the inner liner. This inner liner helps keep the said foam in its optimal shape and consistent quality. Also, this inner liner has a child-lock safety to ensure the safety of kids when using this item. As for its outer covering, you enjoy its ultra soft touch to your skin. With the said coating being removable and washable, maintaining its cleanliness is not that much of a problem. The plush fur and its whiteness will not be trouble when cleaning it up. With its dimensions measuring 72 inches by 72 inches by 34 inches, you can already fit two adults. The color of the sack bag comes in a vast collection of colors and shades. Regardless of your preferences, there will always be a bean bag chair you can pick.